The Meth Project Foundation was established by businessman Thomas M. Siebel in 2005 in response to the growing Meth epidemic in the U.S. 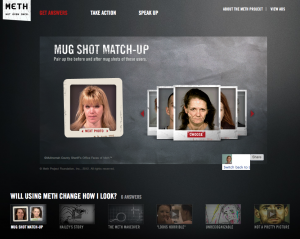 The Meth Project is a large-scale prevention program aimed at reducing Meth use through public service messaging, public policy, and community outreach. Central to the program is a research-based marketing campaign and community action programs designed to communicate the risks of Meth use.